Think about this for a minute: What is a planet? But wait just a minute. Wasn’t there a big deal a few years back about Pluto not being a planet anymore? What was all that about? And if a planet is anything orbiting the sun, what about that asteroid belt between Mars and Jupiter? Instead of eight planets (or nine, depending on whether you include Pluto or not), are there really a thousand or a million? And are there any more “real” planets out there? Great questions! I’m glad you asked. Let’s get started, shall we? Pluto was discovered in 1930, and for the next seventy-six years, it enjoyed the distinction of being the ninth planet in our solar system. In 2006, though, it was stripped of its status as “planet” and reassigned to the new category “dwarf planet,” which, believe it or not, is not the same thing. So why did poor Pluto suddenly become a dwarf planet? Scientists have discovered many other small “planets” similar to (some maybe bigger than) Pluto in the Kuiper Belt, as well as in the asteroid belt, and the International Astronomical Union decided it needed a new classification for these worlds. Hence, the dwarf planet was born. The IAU, you see, has three criteria that a space object must meet before it can be called a planet. First, it must be round (which Pluto is). Secondly, it has to orbit the sun (which Pluto does). And third, it must be massive enough to dominate its orbit, that is, clear it of space debris. This is where Pluto fails. It doesn’t even quite dominate its primary moon, Charon; NASA considers them a binary system. Hence, Pluto is a dwarf planet, no longer the smallest of the planets. Various other Kuiper Belt objects, as well as Ceres in the asteroid belt, join Pluto in this designation. 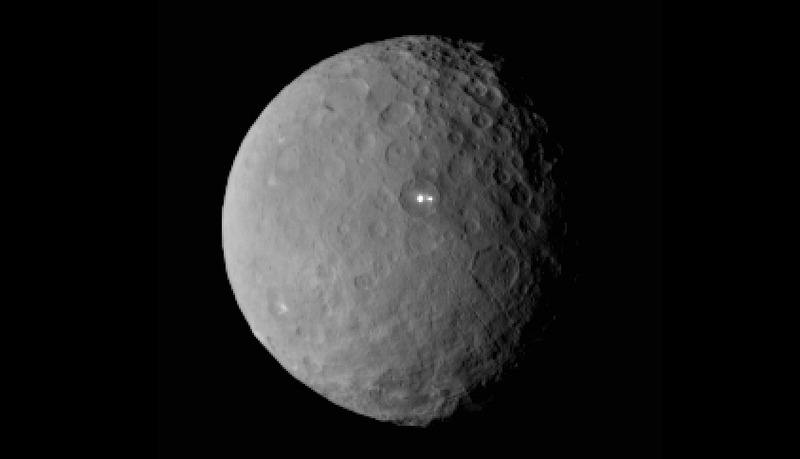 Ceres, one of Pluto’s fellow dwarf planets. So there are only eight planets: Mercury, Venus, Earth, Mars, Jupiter, Saturn, Uranus, and Neptune. But might there be another real planet out there? The answer is, well, maybe. 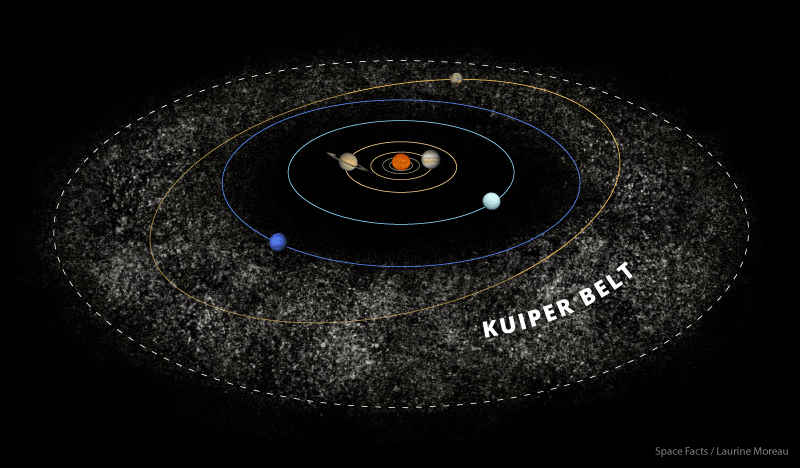 Scientists have never actually seen it, but they have noticed that six Kuiper Belt objects are all orbiting along the same path, suggesting that a planet five to twenty times Earth’s size is out there dominating its orbit. Several research teams are busy investigating to find out whether Planet Nine, as it’s called, actually exists. Some are trying to zero in on its location, based on the aligned orbits of Kuiper Belt objects. Others are trying to catch a glimpse of Planet Nine itself, based on the conjecture that its atmosphere might contain highly reflective gases. So there you have it! Everyone has a different definition of the word “planet.” The International Astronomical Union says Pluto is not a planet, since it doesn’t dominate its orbit quite right. There just might, though, be another proper planet out beyond Pluto. We shall see as the research goes on. If you’re interested in reading more about Pluto and Planet Nine, here are my sources! What do you think? Should Pluto and the other dwarf planets be considered planets or not? Are you interested in astronomy? Tell me in the comments!